World’s First Social Media Advocates Driven Marketing Platform-SOMO App. Is Digital Marketing really worth spending? Every brand owns a digital space in today’s time as digital marketing benefits businesses of all sizes by giving access to the mass market in a very cost-effective & measurable way. According to IAMAI Report, ” The growth in spends on Digital Advertising is expected to continue at a CAGR of 30 percent to touch INR 12,046 Crore by December 2018 in India“. However, the existence of Ad blockers, Blind Spots & Bot Traffic has stopped the communication between digital marketers & their targeted audience, thus jeopardizing a brand’s overall success. Also, there is no platform that enables Social Media user to turn into Social Media Influencer immediately & to monetize Social Media profile of users. Somo App is the world’s first social media advocates driven marketing platform headquartered at Delhi. Micro Users are always most influential in order to promote services or products of brands. Quantifying the influential power of these Social Media users were never available. Somo Mobile Application is the world’s first mobile application that not only helps users to monetize their Social Media profiles but also quantifies the influential power user has on Social Media. Somo App is a Patent Pending Technology, registered under “Startup India Program” & “MSME”. Somo app lets brands go viral on social media by getting brands’ campaign shared by thousands of KYC verified Social Media users in a go. Somo App builds up a win-win situation for both brands as well as Social Media users. It gives a dual opportunity for both users & brands. Users can monetize their social media profile & start the journey of being a popular social media influencer and brands can get an organic shootout through the power of these engaging social media profiles, along with the real engagement. Somo mobile application monetizes the users’ basis upon their influential power on social media and ranks them in the leaderboard for them to stay rewarding. As per Mediahub study, “Engagement rate exponentially increases with a decrease in followers”. Hence Somo focuses on micro users to drive real value to the marketers. Somo App is a venture by two young & passionate Entrepreneurs, Saurabh Goel&Sooraj Singh. Saurabh Goel is a serial entrepreneur with years of experience in Marketing & Sales. He is an Electrical & Electronics Engineer. He started his entrepreneurial journey at the age of 18. After working with Simpli5d Technologies for almost 2 yrs., he had an idea of starting his own digital firm along with his college friend Sooraj Singh. Sooraj Singh is a Computer Science Engineer & coder since childhood. He has significant experience in different technologies and blockchain. Mohan Anand, Ex-Head at Shopclues has recently joined the team as Co-Founder & Business Head to take charge of brand acquisition. As per Saurabh, Co-Founder & CEO at Somo, “After doing significant digital marketing for brands from various domains, we have realized that digital spends have stopped generating the real ROI”. “I wanted to solve the communication gap between brands and their targeted audience with the help of technological advances by eliminating the relevance of Ad blockers, blind spots & bot engagement.”- says Sooraj Singh, Co-Founder & CTO at Somo. Somo App is shaping up the new generation of digital marketing and has already collaborated with some popular brands of the country like Mamaearth, Travelur, Milaap, Evibe, Behrouz Biryani and some more. In the first month of its launch, Somo received an enormous response with more than 3000 downloads on the Google Playstore and more than 1500 registered users. 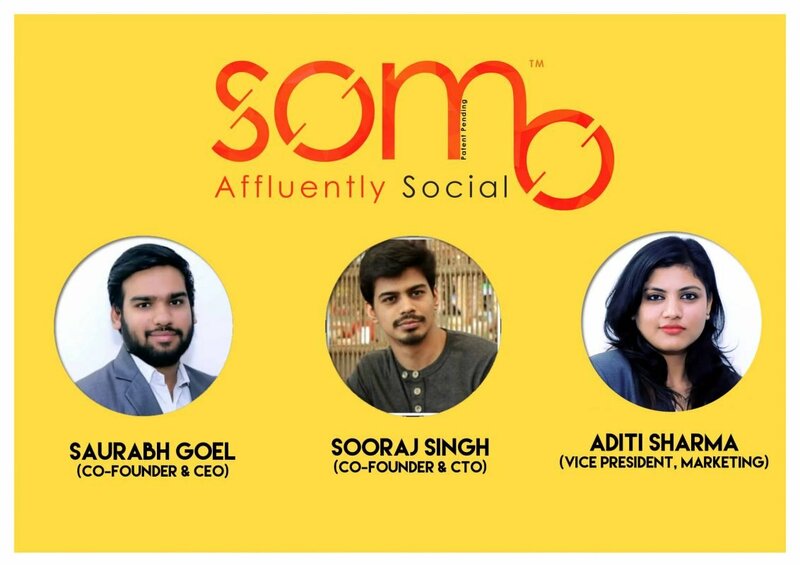 “We are planning exponential expansion across different Social Media platforms &geographies in quick time with more than 1 Million downloads to be expected in next 12 months” says Aditi Sharma, VP-Marketing at Somo. 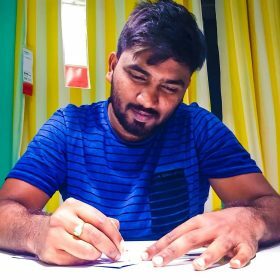 Raghava is Google certified digital marketer,Wordpress consultant and Founder at Startupsindia.in . Bangalore based startup UrbanClap raised $50 Million from Series D funding round. The Journey of Soham Web Solutions from Institution to an It-Company. Investing Simplified & Personalized For You By CAGRfunds. Medera Healthcare Technologies: A company with a vision to develop new affordable tech over healthcare domain. An Exclusive interview with Moumita who choose to Blog over a Corporate job! A small Town Boy with Big Dreams in His Eyes, Story of Rahul Singh Founder of LoveBites. We share your stories With the world to inspire them. Startupsindia is all about encouraging students and entrepreneurs to think big and achieve their dreams. Thank you for showing Love on StartupsIndia!